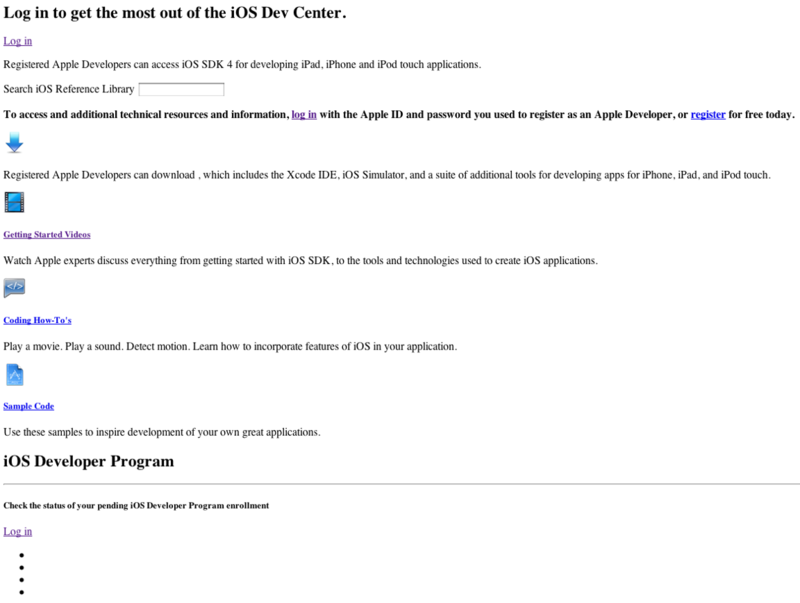 Any devs having problems with the Apple Dev site? Discussion in 'Public Game Developers Forum' started by TrueAxis, Oct 20, 2010. The site was down for maintenance and came back online. When I log on it informs me that I need to renew my membership. I did this about a month and a bit ago and have the receipt that it went through from Apple. I have no contact information to find out what is going on because I cannot get into the site... Can any body pass some contact data. Thanks. Must have been a hiccup due to the Mac App Store announcement. No problems for us. I can access Dev Centre, Provisioning Portal and iTunes Connect just fine. I found a contact address on the Dev Site... We are completely locked out and cannot access anything. And I have an email receipt stating that our renewal went through a month and a bit ago. I have heard stories of this happening to other devs in the past. But has been like that for weeks now... However when I log in, everything is ok. This is very strange because if I click onto the Beta SDK it tells me to renew the agreement. When I click on renew I'm informed that the agreement ends Oct 2011. So the payment I made in August was accepted by Apple. This has to happen when I need to make a new Provisional profile. I am well f*cked off now! Ok, panic over. It's started to work again - must of been server problems.